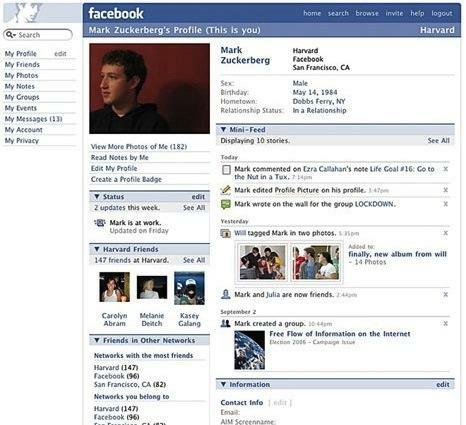 Facebook started out in 2004. I joined in late 2005. Only college and university students could sign up back then, and you could only register using your school-assigned email address. Now we might refer to it as a closed social network, with subnetworks of people who add each other as “friends”. Later on, high school students were allowed to sign up, and then eventually the world at large was welcome on Facebook. Naturally, most of the user-generated content on Facebook during those early years was posted with the assumption that only chosen friends would ever clap eyes on it. Messages on your Facebook wall (now your timeline) and selfies (taken without the advantage front-facing camera on your phone) were the norm, along with pictures of friends hanging out, partying, and making dumb faces. If you’ve watched The Social Network, you can no doubt imagine that all sorts of social drama was acted out on the platform, and you’d probably be right. Facebook was responsible for popularizing “it’s complicated” as a relationship status, after all. On the other hand, it was also common to change your vital stats for fun – Antarctica as your hometown or relationship status set as “married” to unlikely match, platonic friend, or favourite food. I’m not taking you down Millennial Memory Lane for no reason, mind you. The context of Facebook’s history and evolution is important to take into account when evaluating the social media platform as a recruiting tool, since now it’s a place to look for a job. What exactly is Facebook Jobs? 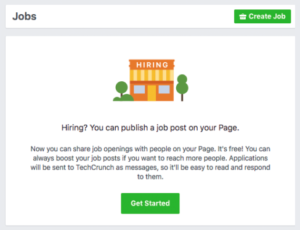 Facebook Jobs is a feature now available to Company Pages which enables them to add a Jobs tab and populate it with job posts. The jobs are free to post, and applications are received via Facebook messenger. Candidates apply using their Facebook accounts, and applications are pre-populated with their existing profile data, which they can then edit before submitting. There are no resume attachments – only data you enter or that already exists on your profile. 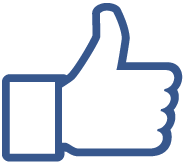 Who is the target market for Facebook Jobs? It’s likely to be most used by small or medium-sized businesses who don’t have an ATS or a careers page and may not even have a website. While some speculate that Facebook is setting out to compete with LinkedIn, it may be more accurate to say that Facebook Jobs will have a greater effect on other free or low-cost job boards or community-based sites like Craigslist. On the other hand, plenty of recruiters and employers of all sizes may be testing the waters to gauge whether it’s effective or worthwhile. Lots of People: Facebook has 1.79 billion users, which is way more than LinkedIn’s 467 million members. Accessing Hidden Talent: Presumably, some of those billions of users are those elusive, highly skilled “purple squirrels” who don’t publicize their professional lives much online because they’re tired of hearing from recruiters. Proven Advertising Options: Facebook’s targeting and retargeting for advertising is well-regarded, and was already being made use of by recruiters, so paid promoted job posts could be fairly effective. Organic reach of content posted on Company Pages is pretty poor. 2% to 16% of the people who follow your company page will have your jobs show up on their timelines organically, so while the Jobs feature is free, there may ultimately be a cost to getting results. Facebook recently introduced measures to combat discriminatory advertisements in their marketplace, and it’s also been in hot water for its handling of the Fake News phenomenon. 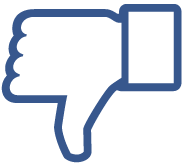 For HR pros concerned with compliance, maintaining anti-discriminatory practices, and hiring a diverse workforce, will Facebook Jobs cause problems? With Facebook Messenger as the method of delivery for applications, jobs with a high volume of applicants may prove to be overwhelming for recruiters and hiring managers. For small businesses with only one person managing the Company Page, it’s simple enough to review applications. But if it’s your marketing or social media manager posting the jobs, and you’re the one who needs to evaluate and respond to applicants, there may be some logistical juggling of accounts and efforts. Job boards and recruiting platforms offering free/low-cost job posts and those that target small, regional businesses may need to take steps to hold onto their customers. Of course, that doesn’t mean that anyone who charges higher prices to post jobs is automatically safe. But if you can continue to demonstrate the value in paying to post jobs on your board, you don’t necessarily have to worry about free and cheap options stealing away your customers. That being said, those same free/cheap job boards were already facing competition from sites like Craigslist and Indeed. Facebook could just be another player in the game, bringing its own set of advantages and disadvantages with it and not a massive disruptor. Job boards and recruiting platforms that focus on a particular niche – specific roles, industries, regions, and combinations thereof – continue to have an advantage over generalist platforms like Facebook, Indeed, and LinkedIn. With a focused target market, employers and recruiters stand a greater chance of finding the right talent on a niche board because both employer and candidate have self-selected themselves to match that niche. 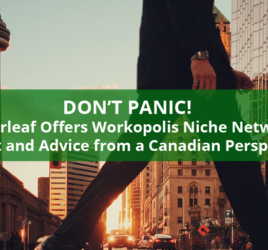 On your niche board, employers and recruiters are not jostling up against thousands of employers and brands in every industry, and they spend less time sifting through unqualified applicants. We’ve yet to learn the degree to which Facebook may be open to integrating its new Jobs feature with other systems and platforms. As it stands, many applicant tracking systems and job boards already allow job seekers to register using a Facebook account. With the launch of Facebook Jobs and more candidates having employment info attached to their Facebook accounts, job seekers who sign up with their Facebook account may bring more data to help pre-populate profiles on those job boards and ATSs. Of course, the big question for many is whether or not Facebook Jobs will integrate (or allow for integrations with) third-party systems completely. Larger corporate employers and recruiting/staffing agencies are unlikely to adopt Facebook Jobs unless there is a way to connect their existing systems. The connection points needed would include how applications are received as well as how jobs are posted. Would the job seeker be redirected away from Facebook to apply, or would the data they enter into the Facebook application be pulled into the receiving applicant tracking system/job board? If such integrations are developed, Facebook Jobs could prove to be another distribution channel for recruiters, job boards, and job distribution networks. The most comprehensive advice given to job seekers these days includes guidance on how to use social media in a professional way, so many candidates likely will take the time to hide or remove anything inappropriate on their public profiles. They may, on the other hand, not think about the implications of applying for a job with Facebook or even care about them, and apply for jobs without editing their profile content with professionalism in mind. The legacy of Facebook’s beginnings may cause problems for candidates whose personal info, photos, and activity on the platform is visible to employers whose jobs they apply for – whether they’re conscious of it or not. 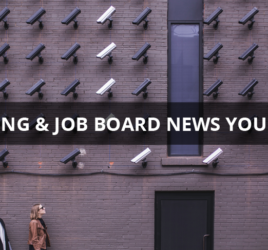 Conversely, being on the receiving end of all that personal data may put employers in an awkward position when trying to avoid bias and discriminatory hiring practices. From the employer or recruiter’s perspective, I think it’s a little soon to judge. Recruiters who deal with a high volume of applicants crave efficiency, and receiving applications by Facebook Messenger may prove cumbersome. For smaller businesses with fewer candidates, the challenge is still getting their jobs seen in the first place, and a free job posting that gets no applicants is not helpful. Facebook Jobs seems like an experiment right now – a minimum viable product – which may change and evolve, or it may be scrapped entirely if it doesn’t prove valuable enough for Facebook. Personally, I’m looking forward to hearing more about what both job seekers and recruiters think of the tool, what they think works well and doesn’t. Of course, I’m most interested in the opportunities for integrations that job boards can use to their advantage, and those too may evolve over time. All in all, the status of Facebook Jobs is complicated – there’s good and bad, but something interesting and useful may evolve from it.